​Each of these categories is further divided into five levels, other than Young Practitioner, which is divided into ten levels. Each level has a specific curriculum and specific requirements. Ranking tests designed to move an individual from one rank to the next contain technical, theoretical, and tactical subjects covering self-defense and fighting skills; the tests also include review of material contained in previous levels as a mandatory requirement. Thus, if an individual wants to become a level-three Practitioner, he/she must also complete the previous P1 and P2 tests before performing the P3 test. An example of rank patches that are worn on the training-pants uniform. The numbers on the rank patches denote the level. The number three on the Instructor Graduate patch denotes Graduate level three, etc. 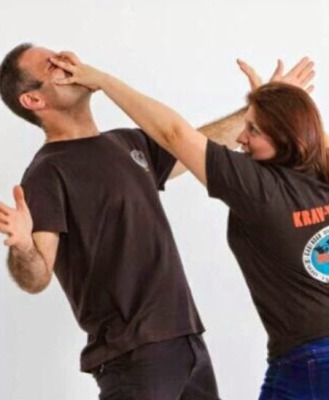 Those at Practitioner level are Krav Maga students, while those at Graduate level tend to be instructors, if they have undertaken the Civilian Krav Maga Instructor Course (a.k.a CIC). There are also students with Graduate-level certifications. 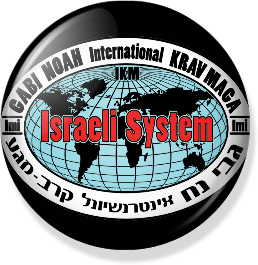 "Expert level" denotes high-ranking instructors, those who have generally graded in Israel. 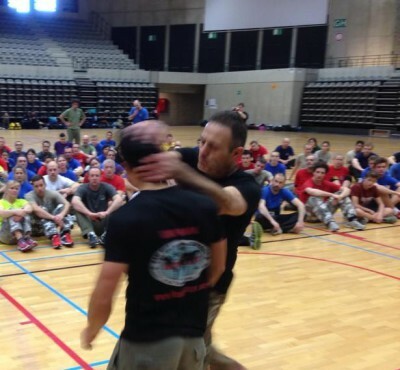 These individuals tend to be instructors in various Krav Maga training fields, such as law enforcement or military training conducted in accordance with Krav Maga curricula. Two years are generally required in order for a student to work through the Practitioner levels, and another two for the Graduate levels. Following the Graduate levels, there are Expert levels, which require a minimum of two years per E level and completion of a specialized instructor course. Thus, in order to achieve the level of E1, a military instructor course must be completed, in addition to the aforementioned CIC. 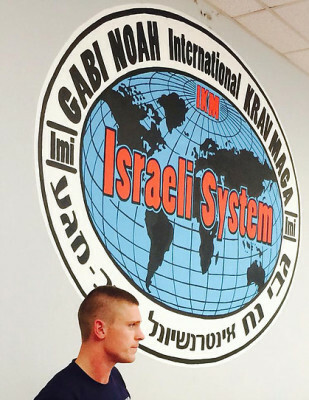 The highest category of rank includes the Master levels, such as is held by Gabi Noah, the founder and Head Master of IKM.